MICHAEL JACKSON - HISTORY (BEST OF) - DOUBLE CD ALBUM complet Bon état général du boitier avec feuillet. Les CD ont des rayures (voir photos) mais qui ne gênent pas la lecture. Great addition to anyone's collection. She's Out Of My Life. Little Susie. Tabloid Junkie. You Are Not Alone. Earth Song. Stranger In Moscow. Longbox mit 4 CDs DVD. CD1-7 –The Jackson 5 - Dancing Machine (Single Version) 2:37. CD1-1 –The Jackson 5 - I Want You Back 2:58. CD1-2 –The Jackson 5 - ABC 2:57. CD1-3 –The Jackson 5 - I'll Be There 3:26. Album CD " MICHAEL JACKSON Invincible "
1 5 Just Good Friends. 1 10 Smooth Criminal. 1 9 Dirty Diana. 1 8 I Just Cant Stop Loving You. 1 7 Man In The Mirror. This item is in great condition. The disc has minor marks but these do not affect the item at all. Great addition to anyone's collection. Don't Walk Away. You Rock My World. Whatever Happens. The Lost Children. 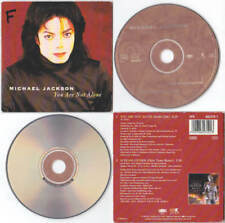 Michael Jackson Smooth Criminal CD Cardsleeve Single that has been cut to fit in a jewel case. CD plays fine. Etat des disques : VG . Love Never Felt So Good. Do You Know Where Your Children Are. Slave To The Rhythm. Michael Jackson History Continues CD Special Edition Rare. Condition is Good. Small split along side of slipcase Dispatched with Royal Mail 1st Class Large Letter. This item is in excellent condition. Great addition to anyone's collection. Don't Walk Away. You Rock My World. Whatever Happens. The Lost Children. Heaven Can Wait. You Are My Life. Voici le CD vert de la série des 5 Cds INVINCIBLE sortis en 2001 aux 5 couleurs, bleu, rouge, vert, orange, gris argent. Chaque boitier possède son sticker. The Lost Children. Don'T Walk Away. You Are My Life. Como nuevo, raros cds negros por la parte del audio, mira las fotos /Like new, rare black cds in the audio zone, look at the pictures. -Rara edición especial fans /Rare special fans edition. 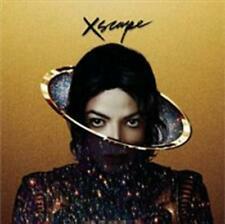 01 Dirty Diana (Extended Mix). Pochette etat moyen avec une petite ecriture(voir scan recto), cd en tres bon etat - adaptateur inclus / little writing on sleeve (see picture). Beat it billie jean thriller bad say say say dirty diana ghost rock with you. photo correspondant à l'objet. disques originaux (pas de copie). L’essentiel du travail de production repose sur les solides épaules de Rodney Jerkins. En effet, il a des projets immédiats pour cette chanson. This song was graciously given to a Japanese children's band to support victims of earthquakes. You can even hear him human beatboxing on this CD ! Sorti en 1997, ce picture CD (édition limitée à 10.000 exemplaires) au format insolite inclut des extraits de deux interviews. Sa soeur La Toya le rejoint pour un échange complice d'anecdotes. Durée : 20 min environ. Des interviews à ne pas manquer. Lorsque les Japonais ont vu arriver le troupeau de remixes qui accompagnait la sortie du single "Jam", ils n'ont pas hésité. Ils ont décidé de sortir deux pressages "collector" en CD Maxi-Single. Voici ici le second de ces CDs intitulé "The Downtown Jams ". ​ L'endroit : Gary, dans l'Indiana. L'année : 1968. As president of Steeltown Records, Ben was the first to realize the incredible talents of this unique family. In 1995, Ben Brown released (via Inverted Records) a limited edition (250,000 copies) collector's CD of The Jackson Five's first ever recording "Big Boy" & "You've changed", a digitally remastered version of the original single released in 1968 on Steeltown Records. Voici le mini CD single anglais (avec adaptateur inclus) du titre "Dirty Diana" sorti en avril 1988 : 1. Dirty Diana (4:42), 2. Album Version (4:52). Dirty Diana 3" CD single. with free adapter. Good condition. Il s'agit du seul pressage collector de ce titre. Voici tous les détails de son contenu : HIStory "7" HIStory Lesson Edit" 4:09 "TM's Historical Dub" 7:56 Ghosts "Mousse T's Radio Rock" 4:25 "Mousse T's Club Mix" 6:03 "Radio Edit" 3:50. CDs en bon état. CDs in good condition. Disc 3/ Bad, Dirty Diana, Smooth Criminal. Disc2/ Thriller, Beat It, Billie Jean. Disc 1/ Off the wall, She’s out of my life, Don’t stop til you get enough. CD Invincible. Voici la version verte de l'album "Invincible" sortie en édition limitée en 2001. Indispensable pour tout collectionneur qui se respecte ! Collector officiel (4951742). Green cover. Good condition. Voici le rare CD maxi single de "Who Is It" sorti en août 1992 (voir détails plus bas). 7" Edit With Intro (4:10), 2. The Most Patient Mix (7:44), 3. IHS Mix (7:58), 4. P-Man Dub (7:31), 5. Don't Stop 'Til You Get Enough (Roger's Underground Solution Mix) (6:22). Il s'agit d'un collector exceptionnel. Voir détails plus bas. Single Version (4:43), 2. Charles' Full Joint Mix (4:56), 3. Dallas Main Mix (5:20), 4. Love To Infinity's Walk In The Park Radio Mix (4:46), 5. Live in Bukarest. CD rare et original (imt 2CD 920.039). Man In The Mirror (11:51). Heal The World (11:00). Black Or White (5:01). Will You Be There (6:48). Beat It (9:52). Billie Jean (6:55). Collector officiel (ESK 78000). On this 5" US CD maxi single (ESK 78000), you will find :1. Scream (Single Edit), 2. Childhood, 3. Voici la rare édition PROMO américaine du titre "Scream". Demonstration Only - Promo CD. Un collector incontournable. Step into HIStory ! 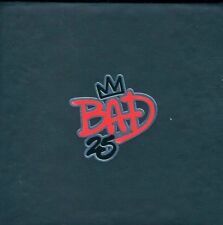 This Japanese CD - first released in 1993 - contains 23 never-before-released Jackson 5 numbers, from a period when they were still performing with their cousin Johnny, a year before signing on with Motown! Live concert of the Jackson 5 in Osaka (1973). Limited Edition (n°2679/5000). Jackson Five in Japan 1973. Un collector incontournable. CD rare et original. Collector officiel. Edition limitée. CD Collector japonais.